Sad today to hear of the passing of the great poet Mary Oliver. 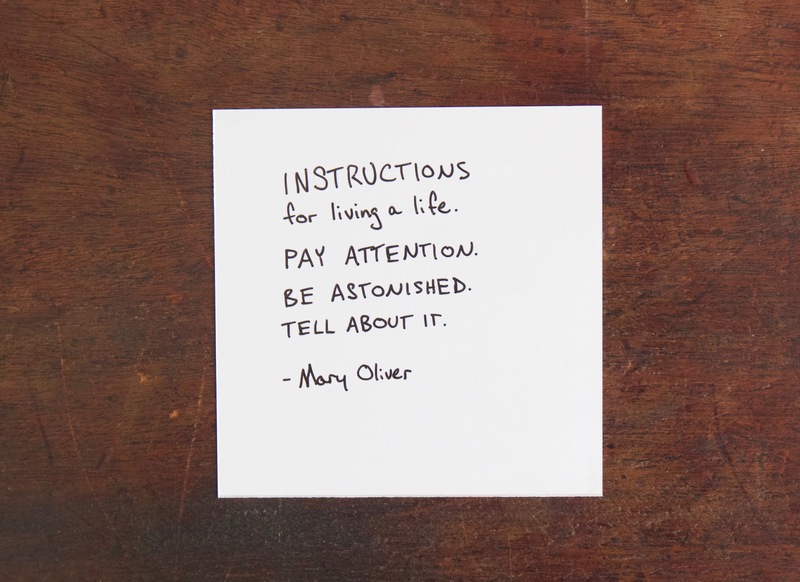 I first heard of Mary Oliver several years ago via the above quote, which lead me to discover her poetry, and helped teach me a way of seeing the natural world. Her quiet spirit and attention to detail are evident in each of her poems. You can listen to a rare interview, including Oliver reading some of her poems, here. Though she will be missed, through her work she will remain a great teacher of attention, curiosity, wonder, and how to tell about it.